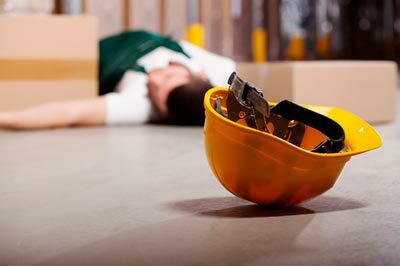 In the US alone, it has been reported that out of every ten workplace accidents that occur, a solid eight is in some way connected to the employer. These accidents can cost a lot depending on how serious the impact is on the victim, it is most amplified for persons who work in industrial sectors like construction and manufacturing. Accidents in these areas could be so grave as requiring the victim to have the affected part amputated from the body. This occurrence as reported by the United States’ Bureau of Labor Statistics, opines that over 7,000 workers in America suffer amputation injuries yearly, which is quite sad. To get the settlement that you deserve we implore you to engage the services of a competent work injury attorney who can secure for you, not just the regular workers’ compensation, but more attention according to the degree of your injury. A competent attorney would go further to help you thoroughly manage all the affairs of your case as it unfolds. Rawa Law Group is a sure center where you can find qualified, top-shelf legal professionals who don’t only have the certificates to show for their expertise but also possess a track record of impressive performance in Norwalk. Our over two decades of unparalleled stellar services has led to the compensation of our clients through the years with settlements valued at over hundreds of millions. Our work injury attorneys in Norwalk are the best in their fields here in Norwalk, and this has a lot to do with how carefully and attentively we carry, counsel and defend our clients. Reach out to us today and take advantage of our free case evaluation!